Wonderful, wonderful Williamsburg. 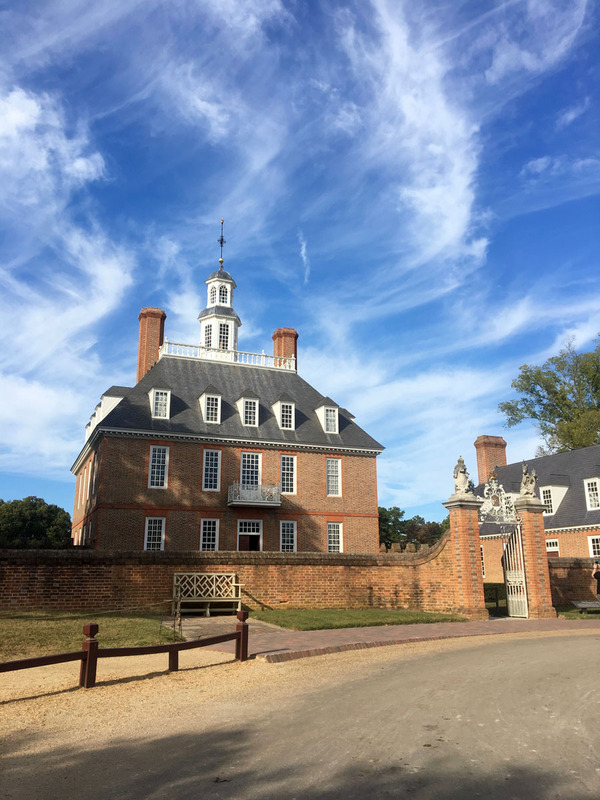 If you’re looking for a lovely weekend or week-long fall getaway with the family, or as a couple, you will love the slow pace and friendly atmosphere of Greater Williamsburg. Plus, you’ll learn a lot here, so you can feel extra-good about choosing an educational destination…. just don’t tell the kids. 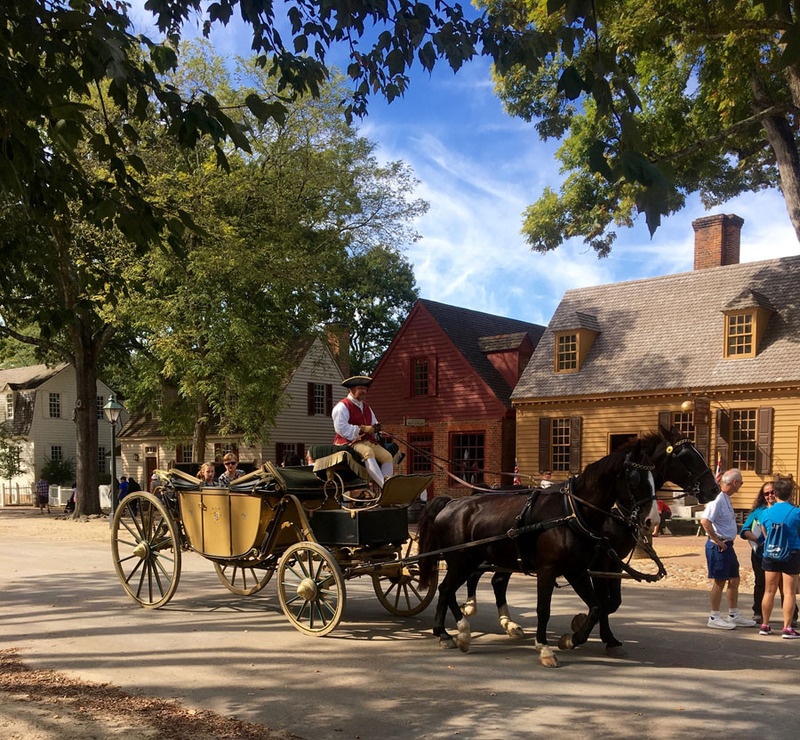 You will love Colonial Williamsburg. It’s like stepping inside your 4th grade American History textbook, but there’s no test at the end. 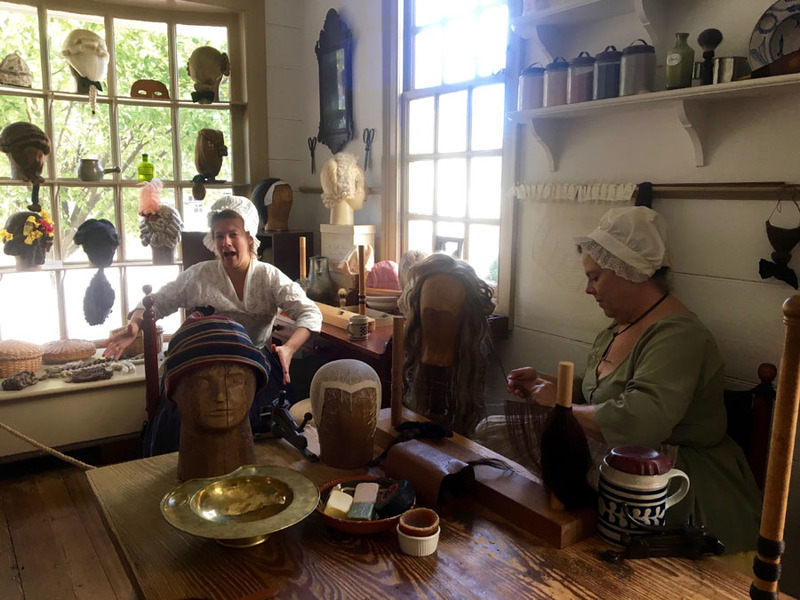 There are dozens of preserved and restored 18th century buildings and gorgeous gardens to explore, and you’ll learn what life was like in the early colonist days. 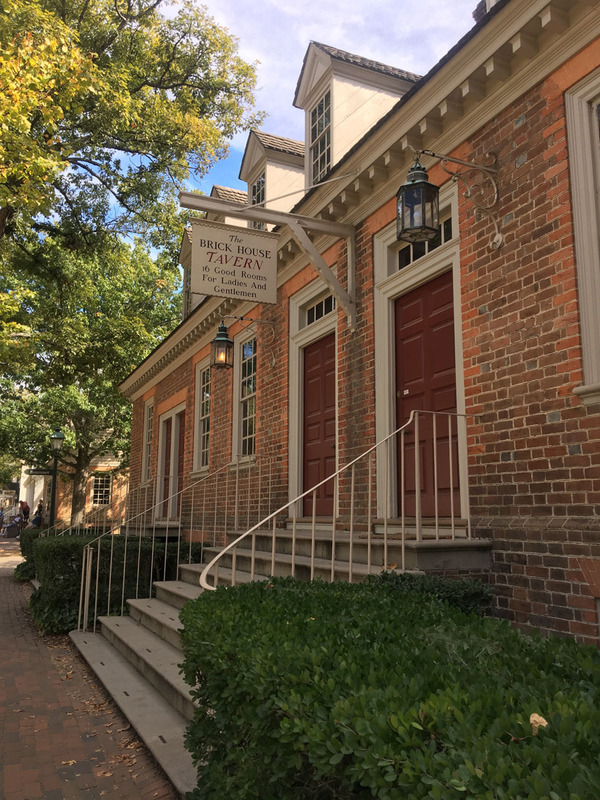 From the blacksmiths to the tailors to the courthouse to the apothecary to the market square, you’ll learn that sometimes life was easy and not so easy for the colonists. 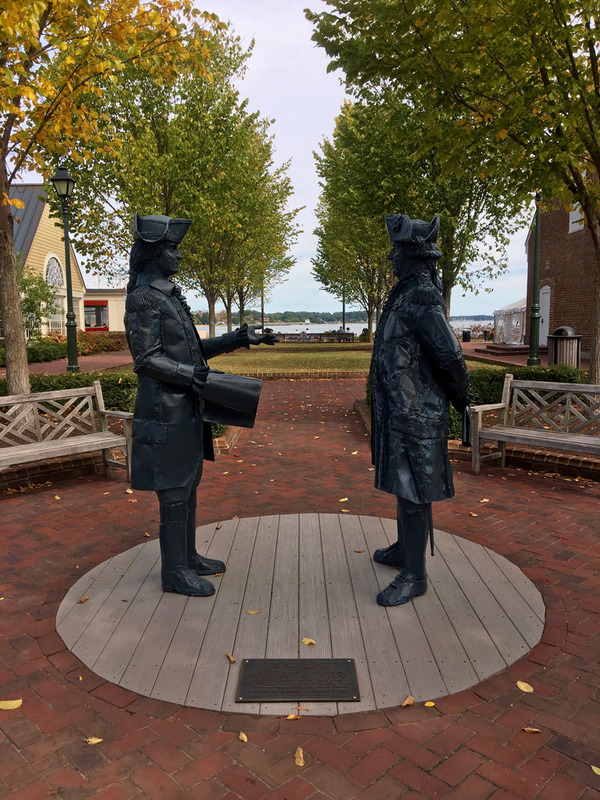 The historic area is about a mile long, along Duke of Gloucester Street, and it’s surprisingly fun to chat with the ‘residents’ in-character. I especially enjoyed the ‘Barber and Peruke Maker’ Shop (a peruke is a wig), where you’ll learn that shaving one’s head is highly recommended, because the wig stays on better. I also loved the Governor’s Palace. One of the guides said the term ‘palace’ was meant to mock the extravagance of the British governors who lived here. You know, pre-Revolution and all. The entryway is decorated with dozens of guns and swords. Sounds like an odd décor choice, I know, but apparently this was to display power and might. 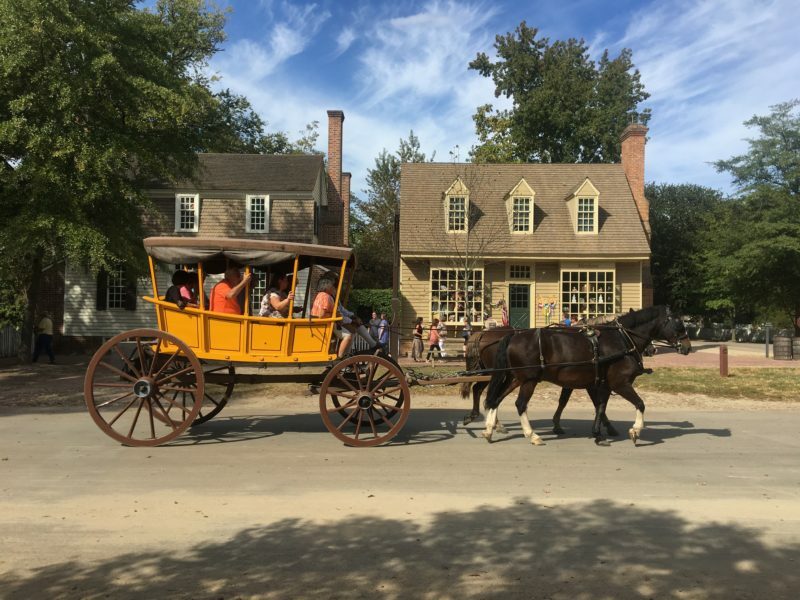 I also recommend taking a horse-drawn carriage ride (no cars allowed here in the 1700s) and picking up a few gifts at the ‘Prentis Store’, where you can find hilariously period-correct gifts and toys, like the ‘Bilbo Catcher’. Whatever that is. 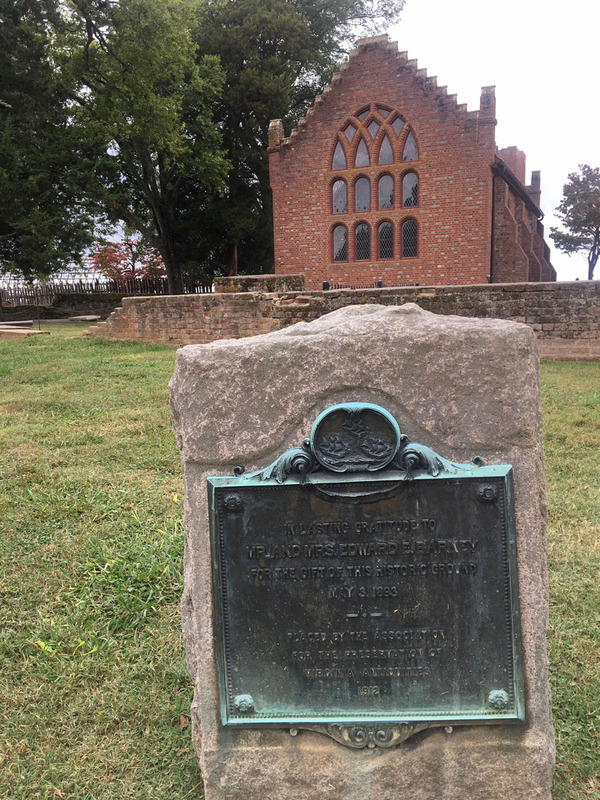 Jamestowne was the first permanent English settlement in North America. You’ll see the British flag still flying over Jamestowne today. James Fort was built in 1607, and the National Park Service has done an incredible job with this site. You can see the archaeological dig of the original fort. More than 20000 artifacts have been unearthed, and many are on display at the Archaearium. 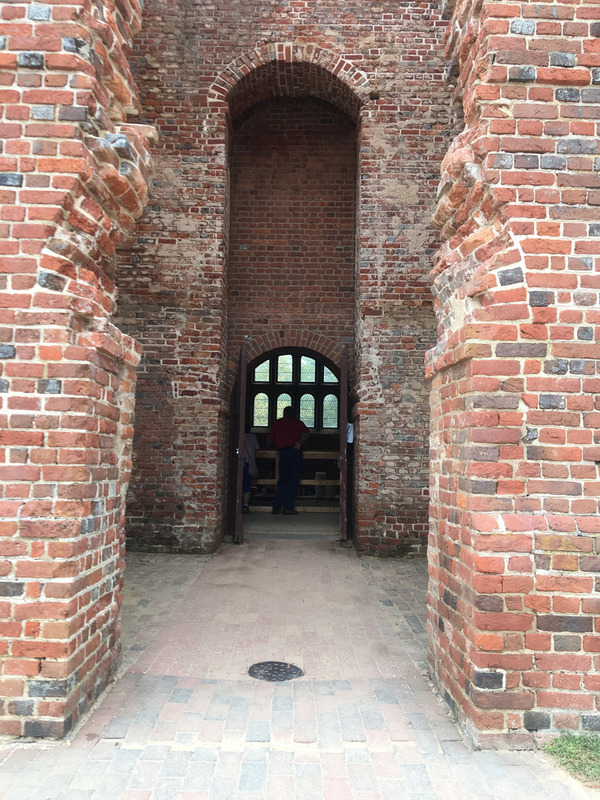 I especially enjoyed the archaeology-in–action inside the Jamestown Memorial Church. 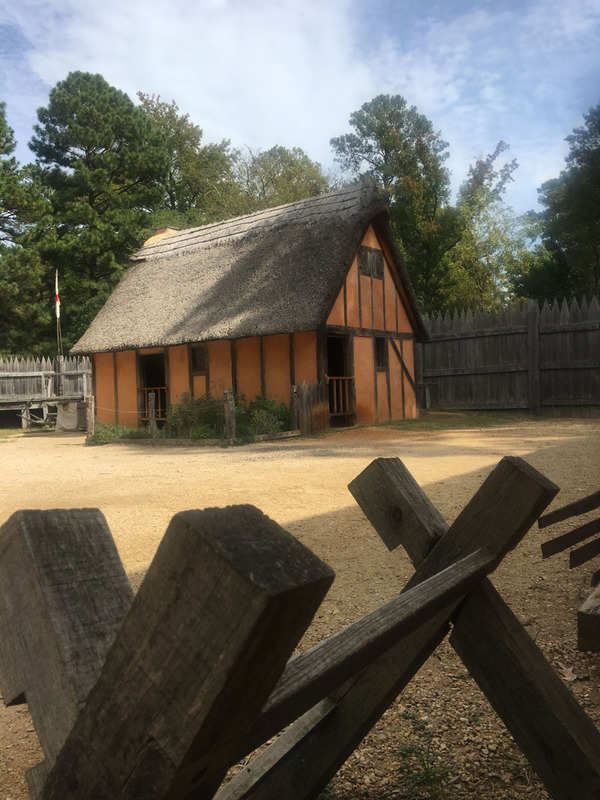 Nearby is Jamestown Settlement: There’s a beautiful and extensive museum, complete with historic displays and films, chronicling colony life in 1600s Virginia. The museum does an especially good job of including the lives the Native Americans and Africans who lived here in the colony. On the day I visited, there was a celebration of Powhatan Indian heritage. 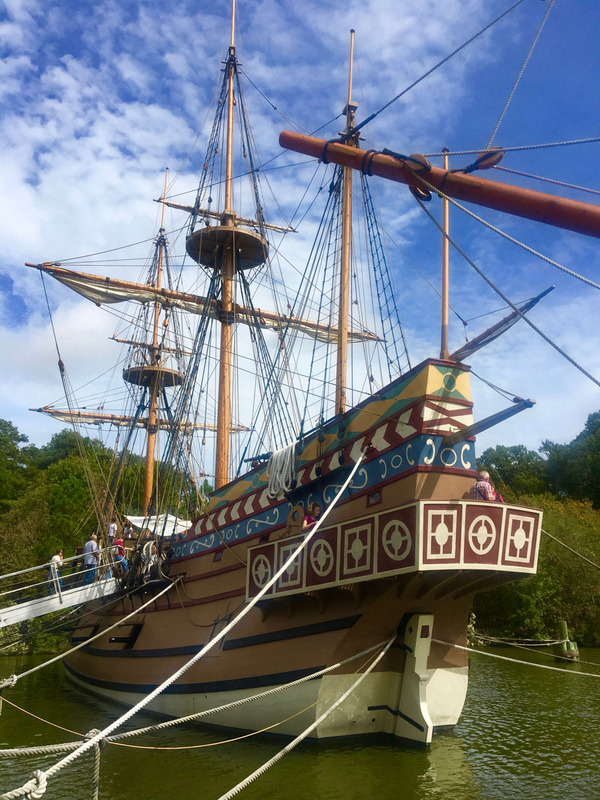 Another highlight is the three life-size re-created ships: the Susan Constant, Godspeed and Discovery, that sailed from England to Virginia in 1607. They’re docked in the harbour, and you and the kids can climb aboard and explore. American Revolution Museum at Yorktown: Yorktown is the site of the last major battle of the American Revolutionary War. 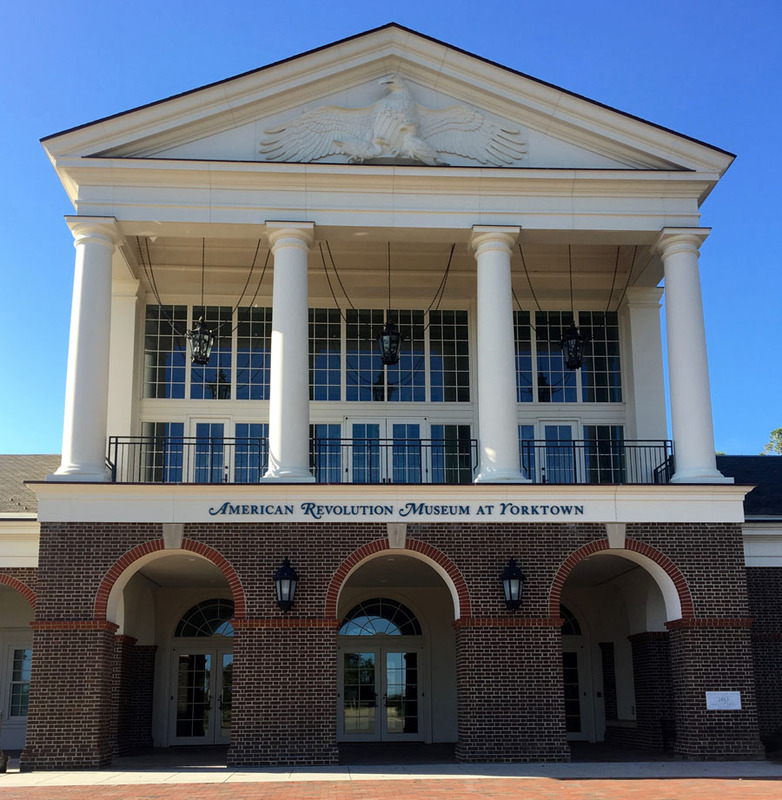 The brand-new ‘American Revolution Museum at Yorktown’ is wonderful: there’s a great historical film, museum displays, and outside there is a Continental Army encampment and farm. I especially enjoyed the free lectures, given by incredibly educated and enthusiastic volunteers. Yes, you will actually want to attend history class here. You absolutely must stay at the Williamsburg Inn. I insist. 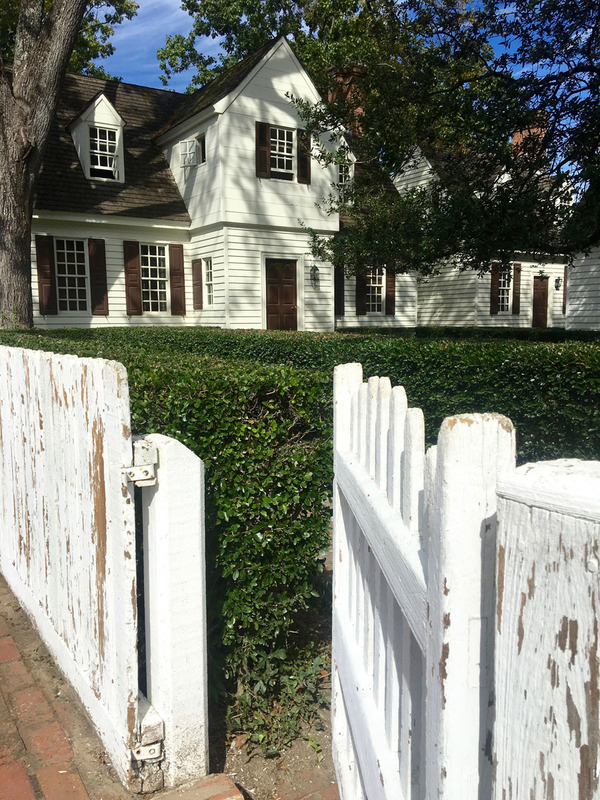 Just steps away from the Colonial Williamsburg historic center, you will be sleeping in the same inn as royalty. The land surrounding the resort was an outpost of Jamestown in the 1700s, so it has historic value. The Inn was built in 1937 by John D. Rockefeller Jr., the same Rockefeller who supported the preservation of all of Colonial Williamsburg. The design of Williamsburg Inn is simply lovely. From the luxurious lobby and lounges, complete with chandeliers and fireplaces, to the guest rooms with four-poster beds, marble baths, fresh flowers and early American furnishings, no detail has been left undone. For dining options, you will be transported to a more formal time, when men wore suits, and ladies dressed properly for dinner. The Rockefeller Room is not to be missed, and I especially loved Afternoon Tea in the lounge, and the ‘Social Terrace’ outdoor patio, overlooking the golf course, where the Fifes & Drums corps marches in each evening, just in time for sunset. Just keep walking west from Colonial Williamsburg, and you’ll step back into modern times into lovely Downtown Williamsburg and Merchants Square. Full of adorable shops and sidewalk cafés, this is a great place to do your souvenir shopping. 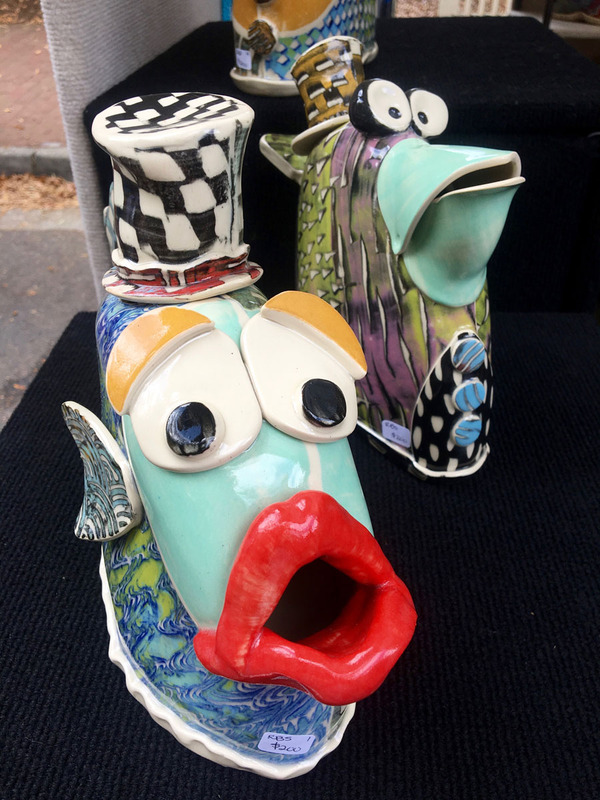 Downtown hosts a variety of fairs and festivals throughout the year. 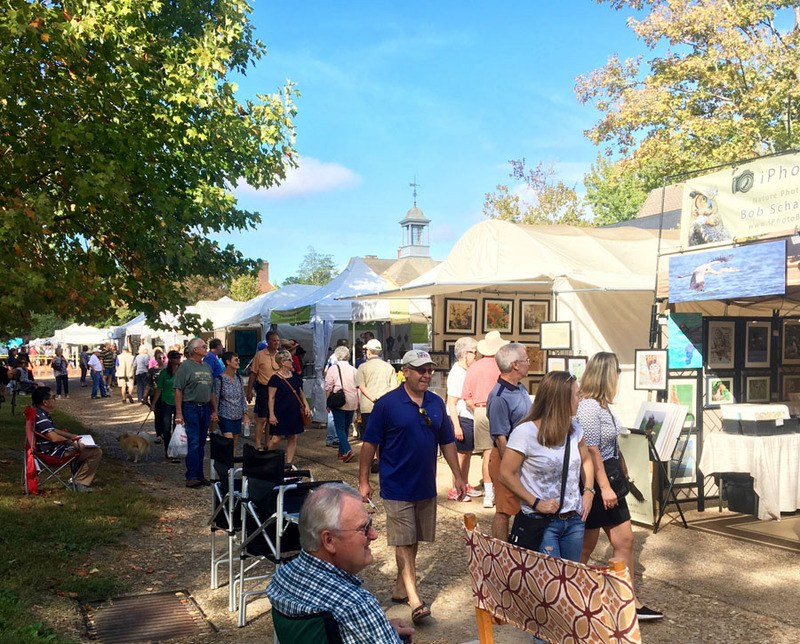 I visited the lovely ‘An Occasion for the Arts’ in early October, and loved it. 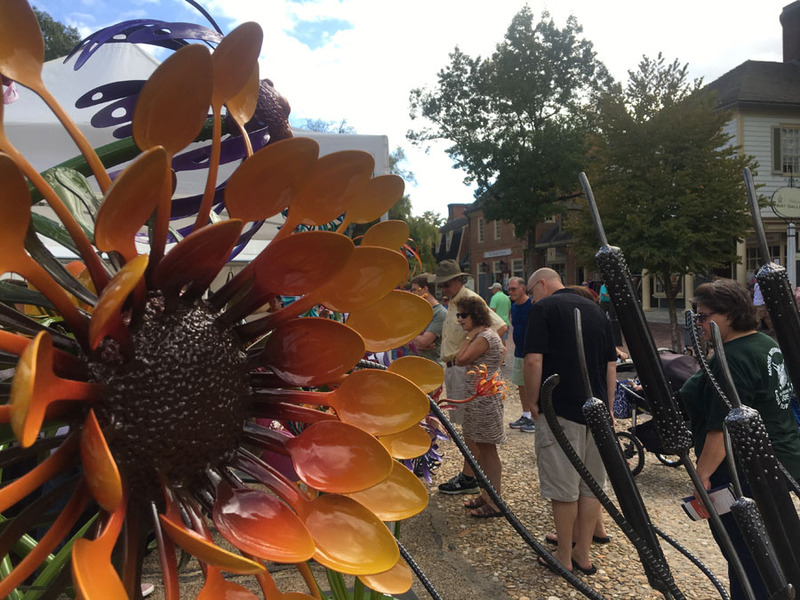 From six-foot tall Willy Wonka-esque metal flower sculptures to brightly dyed sillk scarves to funky ceramic fish, there’s always a wide variety of art and artists, happy strollers and happy dogs. It’s a favorite annual festival here. I especially loved the Youth Art Show and the Fiddling Champion on the Courtyard Stage. A bonus highlight was the special ‘Symphony at the Movies’ concert put on by the The Williamsburg Symphony Orchestra. Held inside the Kimball Theater in Downtown Williamsburg, this was the perfect don’t-be-intimidated-by-the-symphony, family-friendly performance, featuring music from Star Wars, Harry Potter, Raiders of the Lost Ark, and Disney’s Up. Even a sing-a-long at the end. I loved it. A string of shops and restaurants along the banks of the York River, this is a nice spot to take a breather from all the sightseeing. On a cool, breezy day, it’s absolutely lovely. I tried the Riverwalk Restaurant, and grabbed an outdoor table for a view of the river. The food and service was great. I also especially like the used bookstore across the street, with the little bear greeting you at the door. If you’re a lover of fine wines, craft ales, and you know what mead is, you’re in luck. The Williamsburg Tasting Trail is full of tasty experiences, old and new. The Williamsburg Winery at Wessex Hundred I recommend you begin your experience here. The Williamsburg Winery is absolutely lovely, and full of history. 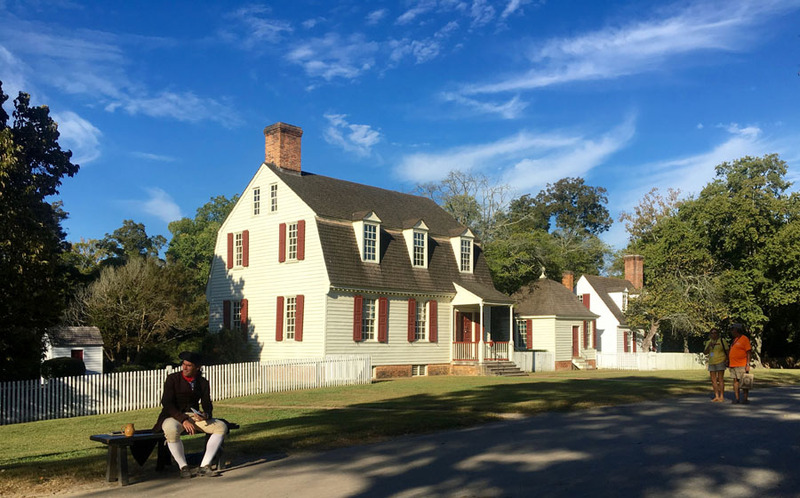 The 300-acre Wessex Hundred farm dates back to 1606, when the earliest colonists sailed up the James River and discovered this fertile land. 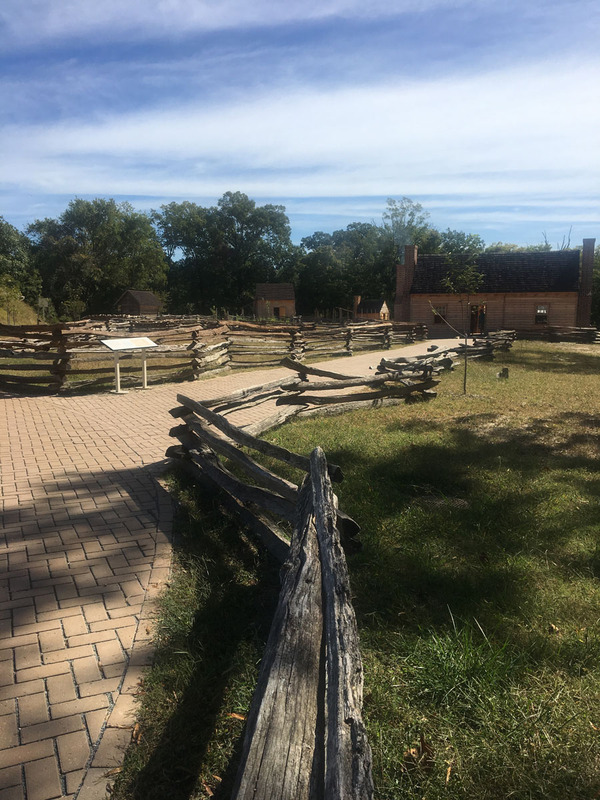 On the tour, you’ll learn that the term ‘Hundred’ was used in Colonial times to describe a parcel of land able to support a hundred families. But when you see the property and vineyards today, you’ll wish you had it all to yourself. The tour takes you underground into the cool cellar, where you’ll see and learn all about the special barrels used to age the wine. Another interesting tidbit you’ll learn: the doors operate on a special pulley system, believed to have been invented by Thomas Jefferson. Our tour guide was knowledgeable and wonderful. At the end of the tour, you’ll enter a private tasting room, and get to sample and rate several vintages. 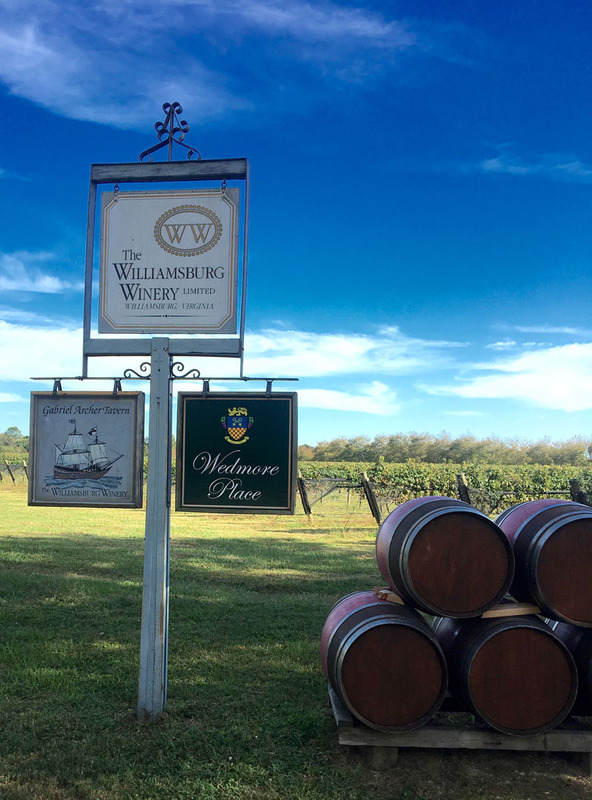 I especially enjoyed learning that some of Williamsburg Winery’s wines are named after important colonists. After your tour and tasting, stay for dinner. The winery has two restaurants: The more casual Gabriel Archer Tavern, or the upscale Café Provencal, with beautiful food and wine pairings. Try the Tasting Menu, with the lovely Urban Choice Mushrooms and the Strawberry Cloud. The Virginia Beer Company is a hipster’s dream, complete with craft beers, food trucks and handlebar moustaches. You’ll love it. 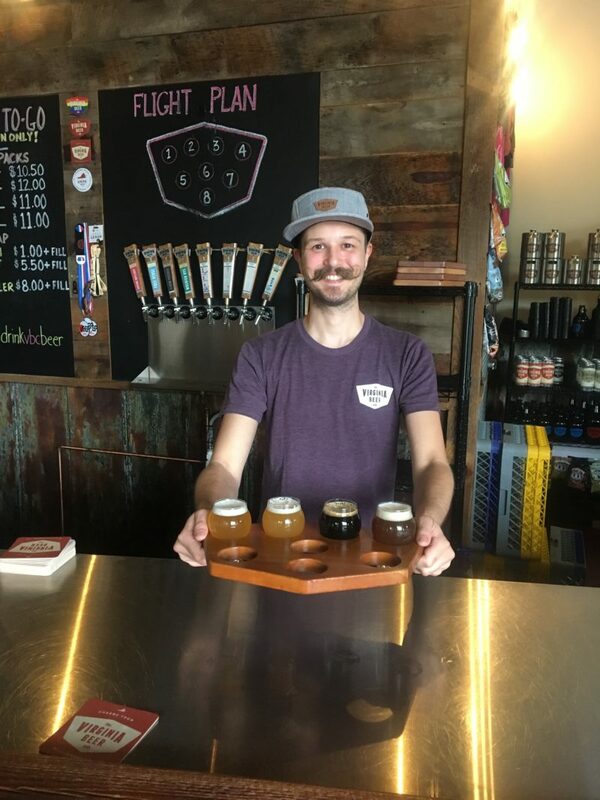 The brewery, taproom and beer garden feels like you’re inside a fun and funky old airplane hangar. The tasting flight could include year-round favorites, or experimentals, all with fun names like Wrenish Rye, Elbow Patches, Free Verse or I Pray You Remember. The owners are all corporate grind converts, including a financial analyst, consultant and high school teacher. I met AJ, the guy with the awesome moustache, and it’s clear he loves what he does. 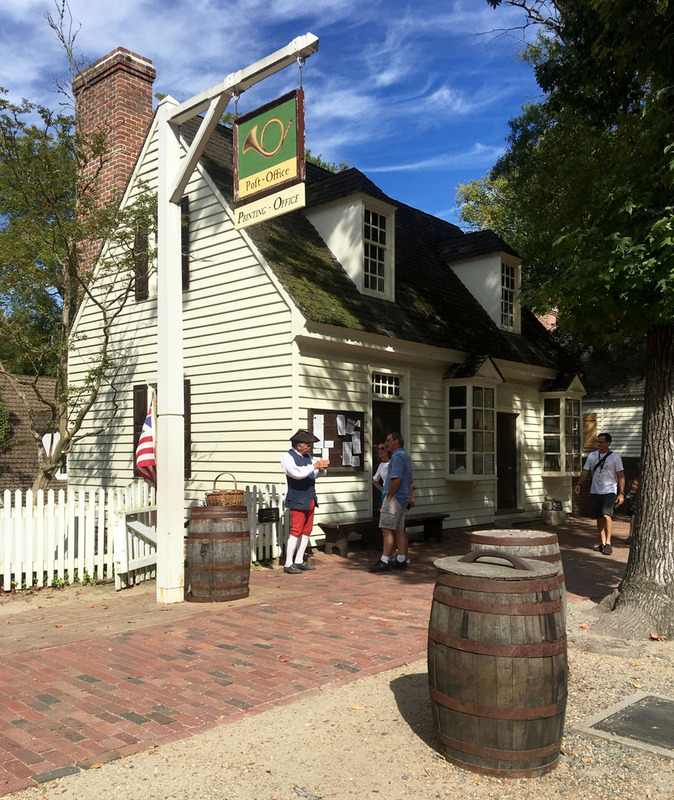 The Virginia Beer Co. is conveniently located just over a mile from the heart of Colonial Williamsburg. What do Vikings and honeybees have in common? Mead! Known as the ‘nectar of the gods’ for millenia, ancient mead is making a comeback. Mead is simply a wine made from honey. What could be more delicious, right? Silver Hand Meadery, near Colonial Williamsburg, is a lovely little bar and shop, where you can taste unique varieties like Scarborough Fair, Strawberry Swing and Coffee Cantata – which yes, is a mead made from coffee. Now you’re talking! The Copper Fox Distillery in Williamsburg is set inside a vintage 1950s drive-up motel. It’s a 6-acre space, complete with tasting room, shop, distillery and the ‘floor malting’ rooms. It’s so impressive to see how it’s done: hand-raking all that barley, which is then dropped through the floor into a second holding room, where it is then aged. Copper Fox was the first distillery in the US to floor malt their own barley, a traditional practice that is now only maintained by 6 Scottish distilleries. You’ll get to tour the facility and see how the whisky is made, using those traditional Scottish techniques. The staff is incredibly friendly, and you’ll be impressed by all the hard work that goes into creating their fine beverages. Their signature spirit is an American Single Malt, featuring 100% barley from the Northern Neck of Virginia, smoked on site with local apple and cherry woods. Other spirits include their Peachwood Single Malt, Copper Fox Rye Whisky and Wasmund’s Single Malt. Christine van Blokland is the award-winning travel writer, producer & host of Curious Traveler on PBS & Create-TV. Her awards include a 2016 National Daytime Emmy Nominee for Outstanding Travel Host. Christine is also a USA Today Travel contributor. She believes that travel promotes lifelong learning, although she'll never learn how to pack light. Follow her Curious Travels on:Twitter, Facebook andInstagram.